AUGUSTINIANS of the HOLY CROSS, SSSA/HOLY CROSS is a religious priestly society following the Rule of St. Augustine in faithful allegiance to the Gospel and the Church, which is the Holy People of God. Augustinian priests include Old Roman Catholics, Roman Catholics, Orthodox, and other religious. Liturgies of the Eastern and Western Catholic Churches (Latin or Vernacular) are approved for use in their respective situations. Augustinian priests of the Holy Cross are validly ordained in the historic Apostolic Succession of Christ's One, Holy, Catholic and Apostolic Church. Their Apostolic lineages include the the Rebbian or Vatican Apostolic lineage from St. Peter through the Roman Catholic Church, the Melkite-Greek Apostolic lineage through the Patriarch of Antioch, Old Roman Catholic succession and others. Augustinian priests/SSSA/Holy Cross serve in varied ministries throughout the United States and Europe.Some priests pastor Churches while others serve as chaplains, minister to the elderly or give comfort to the sick and dying. Augustinian priests faithfully follow the Canon Law of the Universal Catholic Church as established and recognize Pope Francis as the Bishop of Rome. Augustinians/SSSA of the Holy Cross provide full Ecclesiastical Certification to their Brother priests and are fully authorized to officiate at and administer the Sacraments and officiate at the rites and ceremonies of the Church. They may perform all of the duties and functions of a priest of Christ's One, Holy, Catholic and Apostolic Church and of this order of Augustinians of the Holy Cross, in accordance with it's Constitution and Canon Law Code and the Canon Law of the Church. St. Augustine was bishop of Hippo Regius (present-day Annaba, Algeria). Western Christianity and translations remain in print. According to his contemporary Jerome, Augustine "established anew the ancient Faith." In his early years he was heavily influenced by Manichaeism and afterward by the Neo-Platonism of Plotinus. 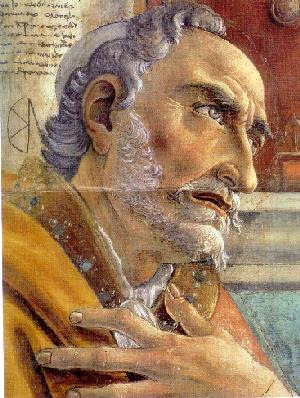 After his conversion to Christianity and his baptism in 387, Augustine developed his own approach to philosophy and theology, accommodating a variety of methods and different perspectives. He believed that the grace of Christ was indispensable to human freedom and he framed the concepts of original sin and just war. When the Western Roman Empire began to disintegrate, Augustine developed the concept of the Catholic Church as a spiritual City of God (in a book of the same name), distinct from the material Earthly City. His thoughts profoundly influenced the medieval worldview. Augustine's City of God was closely identified with the Church, the community that worshiped the Trinity. In the Catholic Church and the Anglican Communion, he is a saint, pre-eminent Doctor of the Church, and the patron of the Augustinians. His memorial is celebrated 28 August, the day of his death. He is the patron saint of brewers, printers, theologians, the alleviation of sore eyes, and a number of cities and dioceses. Many Protestants, especially Calvinists, consider him to be one of the theological fathers of the Protestant Reformation due to his teachings on salvation and divine grace. In the Eastern Orthodox Church he is also considered a saint, his feast day being celebrated on 15 June. He carries the additional title of Blessed. Among the Orthodox, he is called "Blessed Augustine" or "St. Augustine the Blessed".